Snacks to fuel your adventure. Consider your craving satisfied and energy restored with AlpineAire Snack Mix. 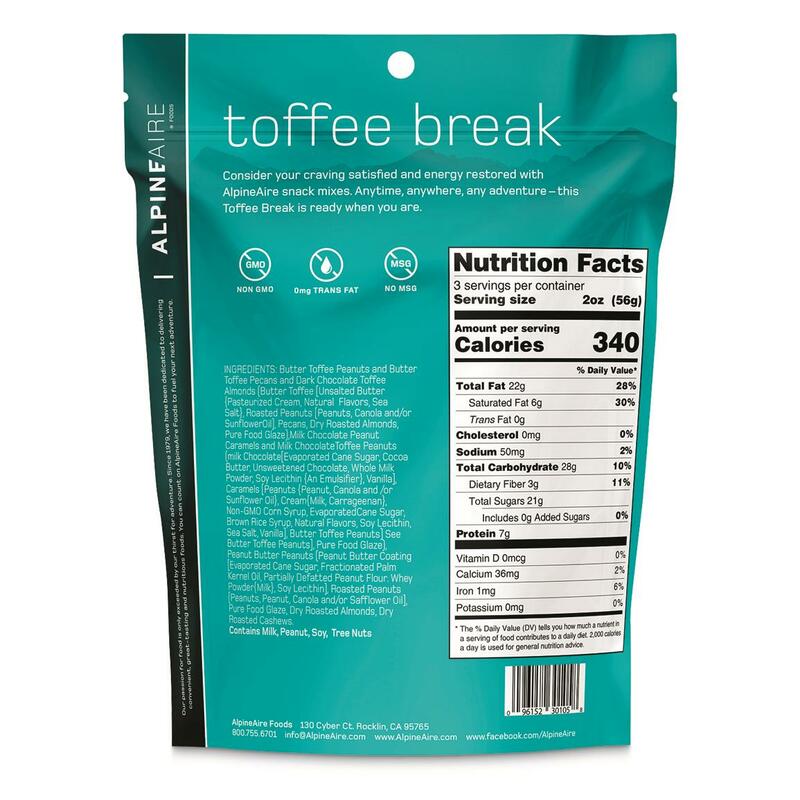 Anytime, anywhere, and on any adventure, this Toffee Break Snack is ready when you are. It's the perfect blend of sweet nuts, toffee, peanut butter, chocolate and caramel. All-natural ingredients provide on-the go fuel for your high-performance lifestyle. A fresh approach to freeze-dried meals. A fresh approach to freeze-dried foods. 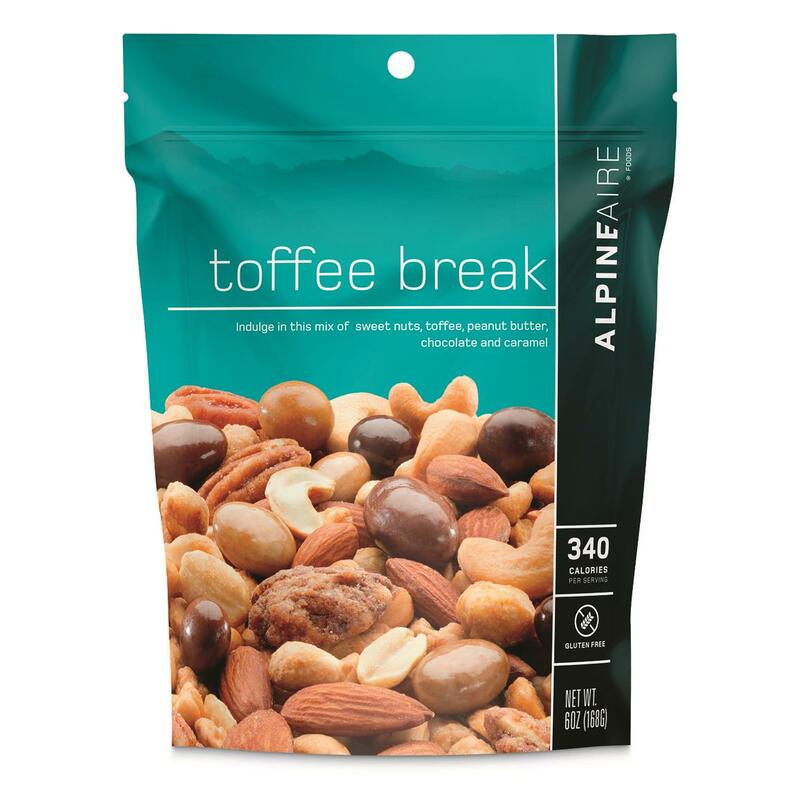 Healthy snack to fuel your adventure.